June | 2014 | Killed in a Smiling Accident. Ball control via cannon fire appears to be the key skill for tank-ball, being responsible for most of the goals I’ve seen so far. 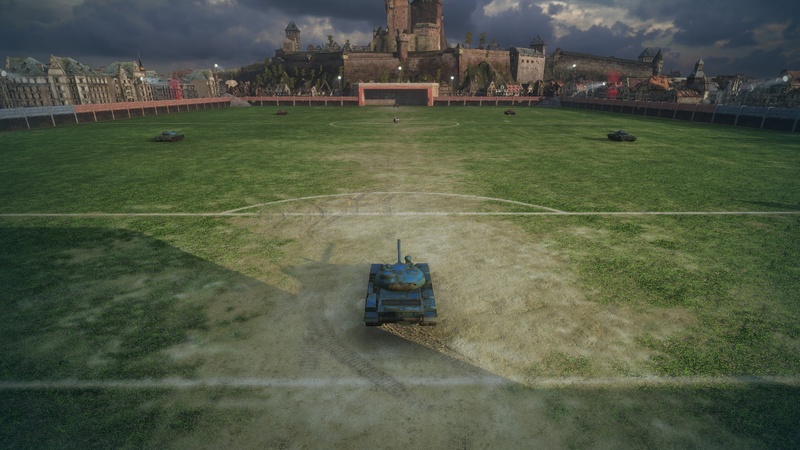 Just be prepared if your team does score, the ball respawns on halfway almost immediately so some frantic defensive realignment may be required. I’ll wager that you’re mightily impressed by the in-depth football knowledge I’ve displayed in the captions of the screenshots, but I’ll let you into a little secret… I didn’t really know very much until I read this excellent guide. 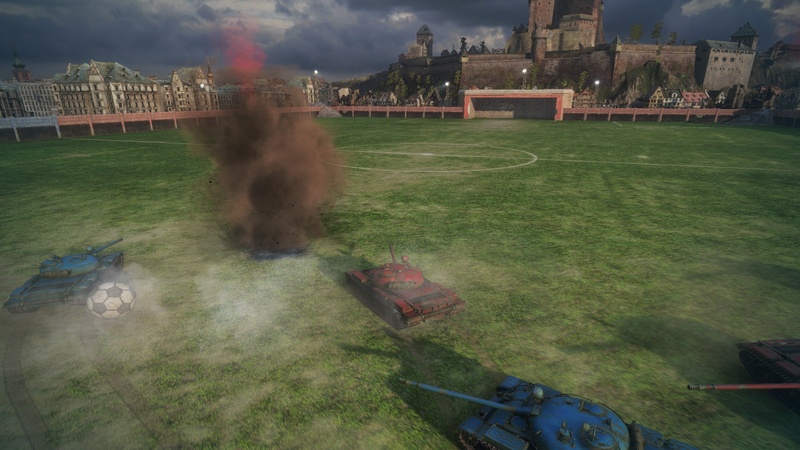 If you’re going to try a few rounds of tank-to-ball, you should try and remember a few phrases and use them in chat – lets get this event started, i am enjoying myself! This entry was posted in world of tanks, zoso on June 13, 2014 by Zoso. I picked up Defiance when it launched last year, but didn’t get much further than the starting missions. It wasn’t terrible by any means, a solid enough MMOTPS, but other shooters proved a bit more compelling at the time, particularly Planetside 2 which I was playing quite heavily then. I caught the first few episodes of the TV show and it, too, was solid enough, but with time being irritatingly finite it wasn’t at the top of the list of Stuff To Definitely Watch Right Now, the episodes started stacking up on the PVR and eventually got cleared off to make room. Planetside 2 had a good old run; even after peak playing-most-days-enthusiasm it was still fun to log in on a Friday with the Five Rounds Rapid outfit and rumble around Auraxis in an armoured convoy singing Jungle Book songs, but with newer, shinier temptations like The Elder Scrolls Online the outfit drifted a bit, and I was fading myself. Despite ordering TESO, and at least making a start on the tutorial during head start, I was away for the official launch, and just haven’t got around to activating the full game since; I can’t really put a finger on why. Instead, when a few of the other FRRers headed for Defiance I thought I’d dust it off and give it another go, and it’s grabbed me a lot more this time around. A particularly good first impression was the ease of playing with other people. Though the interface in general is rather awkward, presumably due to being a multi-platform game, once you’ve cudgelled it into letting you add someone as a friend then the “Go To Friend” option immediately takes you to their location, no hanging around trying to get everyone in the same place. Once you’re there you can pitch in with whatever they’re doing (typically the usual MMO staples of Killing Some Monster Things, or Clicking Some Glowing Things, or Clicking Some Glowing Things Then Killing Some Monster Things While A Progress Bar Goes Up Or Down) with no issues of quest sharing, kill stealing or the like. Levels (or “EGO Rating”) don’t seem to be a problem, players or mobs are scaled such that a disparate group can all contribute; other than in fairly exceptional circumstances we haven’t bumped into overwhelmingly powerful or trivially easy encounters. 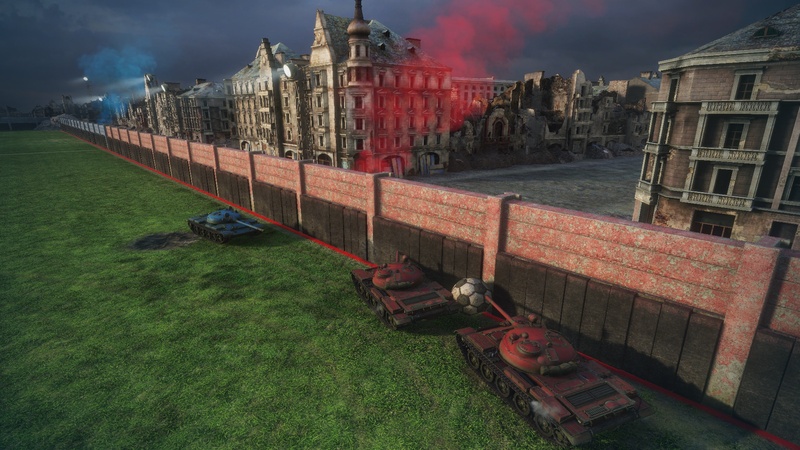 The fixed group size of four is a minor irritation, particularly for co-op maps (instanced encounters, broadly similar to a “dungeon”), other than that it’s admirably suited to casual drop-in-and-out group play. There are obvious similarities between Defiance and Borderlands; weapons of various classes (pistols, SMGs, shotguns, assault rifles etc.) drop in white/green/blue/purple/orange flavours with varying stats, weapons can have “nano-effects” such as electricity for greater shield damage, you get a single activateable power (cloak, overcharge, decoy, blur), etc. You can also draw comparisons with Grand Theft Auto or Saints Row; there’s a central cut-scene driven storyline to follow, but when you pull up the map there’s a plethora of side missions, events and challenges to take part in. Driving is the main method of moving around, though with the lack of convenient sports cars to jack in the devastated future you have to spawn your own vehicle. Some of the missions are for a single person, courses to race around as fast as possible or timed rampage-type fights against waves of mobs, other events can draw crowds of players, most notably the Arkfalls, scaling public-quest-type-things along the lines of the titular rifts in Trion’s previous MMO. The game-specific main story involves chasing some sort of MacGuffin because of Some Plot, I haven’t been paying too much attention if I’m entirely honest. There are also “Episode” missions that more directly link to events in the TV series, initially time-limited so you progressed at the same pace as the show but later opened up for people who’d missed out; it was neat to bump into digital versions of some of the characters I just about remembered, but it doesn’t make for a particularly cohesive narrative. The tie-in reminds me a little of the physical comic books that accompanied City of Heroes for a while, interesting for a bit of shared backstory, but not really a transcendent pan-media experience greater than the sum of its parts; in general I found it hard to reconcile nuanced character-driven plots with my own deeply moving story of Shooting A Metric Fuckton Of Mobs Looking For Big Guns. I posted about the problem with story in MMOs before, particularly in relation to Star Wars: The Old Republic, and Defiance has that same disconnect between repeatable MMO content and more linear story elements. I can’t speak for potential longevity or how things are at the end game, but I’d say it’s worth a look if you fancy a bit of online multiplayer shooting. It’s just gone free to play, if box cost was an issue before, with a fairly standard looking model (limited character, inventory slots for free players, a premium option to boost gains during play etc. ), seems to be pretty reasonable, I’ll have to see if it makes much of a difference in the long term. 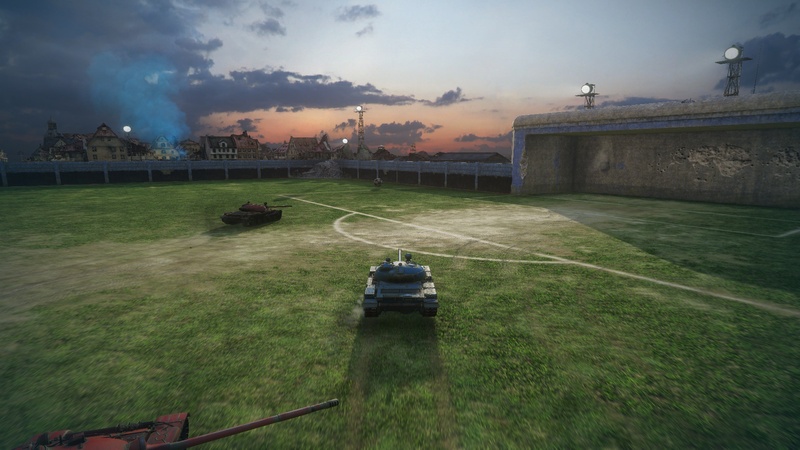 This entry was posted in defiance, wot i'm playing, zoso on June 5, 2014 by Zoso.